Intelligent LED lights for the rail industry. 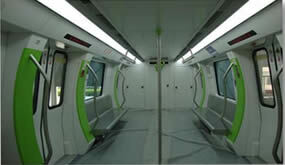 The Territory and Sustainability Council of Santi Vila has proposed the renovation of the series 213 train units, which service the Llobregat-Anoia line on the Government of Catalonia Rail Network (FGC for its initials in Catalan). 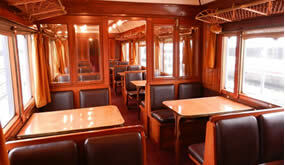 The improvements will consist of replacing the upholstery, modifying the interior lighting, a makeover for the sinks and an update to the vinyl, both interior and exterior. 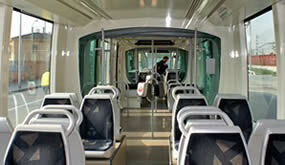 The series 213 units will only be used on the Llobregat-Anoia line. For the pilot test, an LED product was developed with a power factor of 0.92%, which offers a higher lumen level (127lm/W), a chromatic reproduction of 86Ra, and reduced energy consumption saving up to 70%. This LED product is installed on four trains.